On July 8, 1879, Captain George Washington De Long and his team of thirty-two men set sail from San Francisco on the USS Jeanette. Heading deep into uncharted Arctic waters, they carriedthe aspirations of a young country burning to be the first nation to reach the North Pole. Two years into the harrowing voyage, the Jeannette's hull was breached by an impassable stretch of pack ice, forcing the crew to abandon ship amid torrents of rushing of water. Hours later, the ship had sunk below the surface, marooning the men a thousand miles north of Siberia, where they faced a terrifying march with minimal supplies across the endless ice pack. Enduring everything from snow blindness and polar bears to ferocious storms and labyrinths of ice, the crew battled madness and starvation as they struggled desperately to survive. 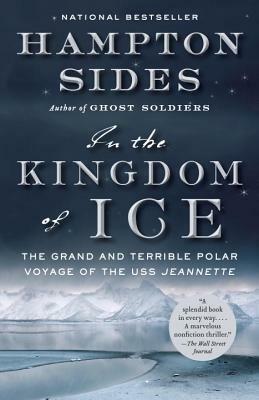 With thrilling twists and turns, In The Kingdom of Ice is a spellbinding tale of heroism and determination in the most brutal place on Earth.